Matt Gillis was born and raised in the shadows of the Catskill Mountains in New York's Mid-Hudson Valley. It was there that he developed a love of the outdoors and an observant eye for nature. Matt's appreciation for the natural world and his exceptional skill as a documentary photographer come together in his masterful images, making him one of the most highly sought-after photographers for weddings and events. Trained as a photojournalist Matt cut his teeth in photography at action packed events and high-pressure settings. When you're sent to photograph Presidents and Premiers, you have to get it right the first time and there's no margin for error. Having acquired the skill at documenting important political and corporate events, Matt turned to the natural world to develop the artistic side of his craft. 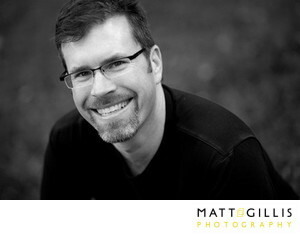 Matt's artistry lets him capture the spirit of each occasion he photographs, while he remains an unobtrusive observer. Whether the setting is indoors or out, traditional or contemporary, Matt adjusts to meet the needs of the event planners, brides, grooms and families in order to deliver a unique photographic record. His flexibility forms the foundation of his work; his sense of style adds the flourishes. Matt's talent for capturing the very heart of every event has been cultivated by his experience as a documentary photographer. While Matt's primary work is in event photography, he has also amassed a prestigious portfolio as a documentary photographer; a portfolio that includes photographs of famous political figures such as, former U.S. President Bill Clinton, former Russian President Boris Yeltsin, England's Prince Andrew, Robert F. Kennedy, Jr, Henry Kissinger, and New York City Mayor Michael Bloomberg, to name a few. He now travels the world photographing weddings and events, working with some of industry's top coordinators and planners. Matt currently resides in the Hudson Valley with his wife Beth, their two young sons and three dogs. Living within commuting distance of Manhattan allows Matt to enjoy the benefits of both rural and urban lifestyles. Whether engaging in activities like hiking, biking, sailing and traveling, or photographing a wedding, kids or social event, Matt keeps his mind fresh and his eyes open to the natural beauty around him, always searching for those special moments, scenes and encounters that transform his images into treasures. On a final note, Matt feels strongly about giving back to the community and thus devotes a considerable percentage of his time and resources to various non-profit groups ranging from local community groups to national institutions.